Today marks two years to the day from when Metropolitan Jonah received me as a catechumen at St Nicholas Orthodox Cathedral on Sunday, September 25, 2011. The New Calendar that day commemorated the feast of the 1392 repose of St Sergius of Radonezh, founder of the beloved Holy Trinity Lavra (Троице-Сергиева Лавра), and one of Russia’s greatest wonder-working saints. This historic painting, “Vision of Young Bartholomew”, by M.V. Nesterov (1862-1942) shows the scene in St Sergius’ hagiography in which an angelic elder endows the devout boy Bartholomew, the future St Sergius of Radonezh, with the divine blessings of literacy and chant. See “A Miracle of Knowledge: St Sergius of Radonezh”. 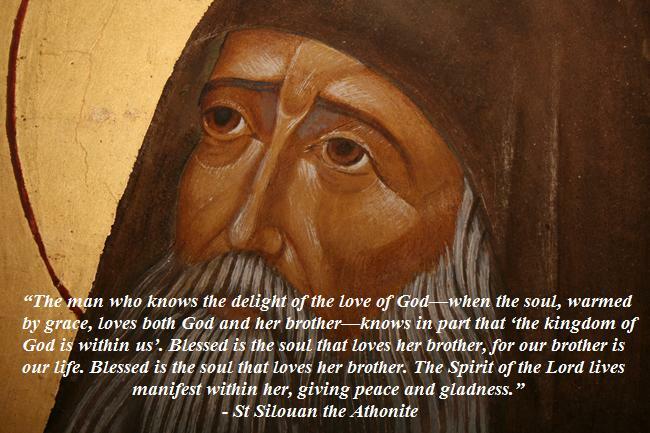 Yesterday, September 24 marked the celebration of my patron saint, the extraordinary elder Silouan the Athonite. Because he reposed on this date in 1938, after the introduction of the Revised Julian (New) Calendar in several of the local Churches, his feast day is one which is celebrated on the same day (but different ecclesiastical dates) according to both calendars. A photograph from September 1933 of St Silouan (1866-1938) with his disciple, Elder Sophrony (1896-1993). 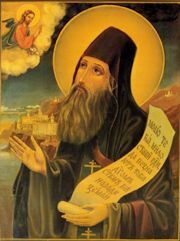 In honor of my beloved patron, I humbly offer this wonderful piece about St Silouan from John Sanidopoulos’s excellent blog Mystagogy. I will also provide this link, courtesy of Mr. Sanidopoulos, to a superb talk which Fr. 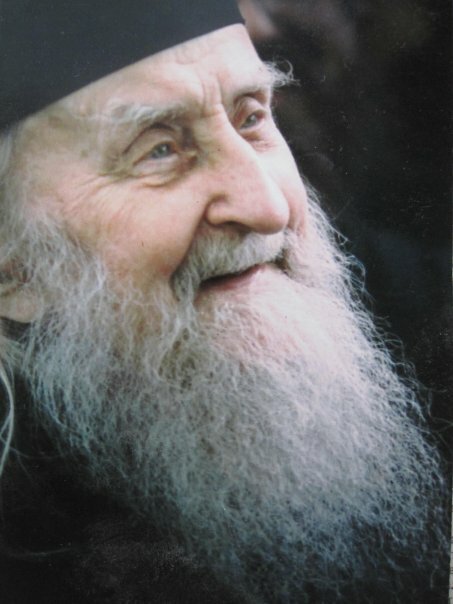 Zacharias Zacharou of Essex gave on St Silouan and his disciple and hagiographer, the late and venerable Elder Sophrony (Sakharov), himself the mentor of Fr. Zacharias and the founder of the Stravropegial Patriarchal Monastery of St John the Baptist in Essex. The holy and venerable Elder Sophrony (Sophronius) Sakharov (1896-1993). Hagiographer and disciple of St Silouan, and founding abbot of the Monastery of St John the Baptist, many revere him as a Saint. An icon of St Silouan which is very dear to me. Metropolitan Jonah and my godmother are currently in England as I write this, spending time at the Monastery at the invitation of Fr. Zacharias, and visiting with His Excellency Metropolitan Kallistos (Ware) of Diokleia. I ask your prayers for my spiritual father and godmother in their travels, and lastly, for myself.